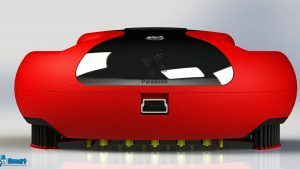 ParaSonic is developing a revolutionary home-use ultrasonic device that kills lice and their eggs in a single 5-minute combing treatment. Head lice infestations are a global problem, with 12 million infestations in children and adults every year in the United States alone. It can be very difficult to completely eradicate head lice, and re-infection occurs easily. The gold standard of treatment is topical chemical-based products, with their main drawback being that they do not kill the lice eggs. If the treatment is not repeated after 7-9 days, the hatched eggs can easily cause re-infestation. Another drawback is that lice have become resistant to most chemical-based treatments, and their effectiveness is often below 50%. Because of possible side-effects of pharmacological lice treatment products, and as a general trend in recent years, many people favor "natural" products. However, the efficacy of currently available natural products, made from various plant extracts, has not been clinically proven. ParaSonic’s revolutionary home-use comb, XlicerTM kills lice and their eggs in a single combing treatment that takes about 5 minutes. Ultrasound waves generated by the teeth of the wide-toothed comb destroy lice and lice eggs after exposure of about one second. XlicerTM simultaneously sprays a natural solution onto the hair, to augment the efficacy of the ultrasound and significantly increase the lice and eggs' mortality. Because there is no use of pesticides, there is no possibility of the lice developing resistance. The comb’s wide-tooth design means no discomfort to the person being treated. Strong IP coverage (4 patent applications). XlicerTM is a FDA registered (class I). According to the European Medical Device Directive, the device is a Class IIa device. Seeking strategic partners for commercialization. MSc in Biology/Genetics from Ben-Gurion University, MBA from Tel Aviv University. Served as clinical director and product manager at leading Israeli medical esthetics companies. More than 20 years' experience as General Manager and founder of biotech, pharmaceutical, and medical device companies. Served as a fighter pilot and a commander in the Israeli Air Force and retired with the rank of Colonel. Mr. Tavor holds an MA Degree in Political Science and National Defense Studies, and MBA studies.